× nine = eighteen Required Please enter the correct value. On Wednesday, the Dow Jones fell 75 points and the S&P 500 fell into negative territory for the year as traders kept a close eye on falling WTI crude oil prices and shares of Apple Inc. (Nasdaq: AAPL) dipped 2.2% on concerns about the company's hardware sales. The Stock Market Today: On Thursday, traders will eye the weekly jobless claims report one week before the Fed Open Market Committee decides on whether it will raise interest rates during its final meeting of 2015. In addition, look for an update to the Bloomberg Comfort Index and the Quarterly Services Survey. On the international front, markets will react to the Reserve Bank of New Zealand's announcement on whether it will cut interest rates in order to spur economic growth as concerns mount about its exposure to a slowing Chinese economy. Earnings Report No. 1, ADBE: After the market closes, look for software giant Adobe Systems Inc. (Nasdaq: ADBE) to report fiscal fourth-quarter earnings. Wall Street analysts expect the company will report an EPS of $0.59 on top of $1.306 billion in revenue. Earnings Report No. 2, CIEN: Before the market opens, CIENA Corp. (NYSE: CIEN) will report fiscal fourth-quarter earnings. The company is expected to report per-share earnings of $0.38. Bottom line revenue is expected to be $683.88 million. Additional companies reporting earnings today include Restoration Hardware Holdings Inc.(NYSE: RH), Finisar Corp. (Nasdaq: FNSR), Methode Electronics Inc. (NYSE: MEI), and Greif Inc. (NYSE: GEF). Stocks to Watch No. 1, CVX: Shares of Chevron Corp. (NYSE: CVX) were up marginally despite news that the company has slashed its operating budget by 24% for 2016. 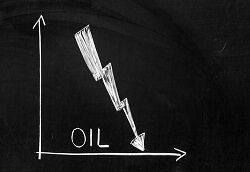 Low oil prices have affected the budgetary outlook for many large multinational companies. Stocks to Watch No. 2, WMT: Shares of Wal-Mart Stores Inc. (NYSE: WMT) were up marginally on news the retail company plans to test its own mobile payment system. WMT has dubbed its new platform Walmart Pay, and it will launch later today in stores in Arkansas. Stocks to Watch No. 3, BHI: Shares of Baker Hughes Inc. (NYSE: BHI) gained more than 7.4% yesterday after an executive at Halliburton Co. (NYSE: HAL) said the deal to purchase the energy services company will likely be approved and close in 2016. Halliburton's bid of $35 billion for Baker Hughes will create such a massive oil field services company that both firms already agreed to divest at least $5.2 billion in businesses in order to receive regulatory approval. There are many concerns that such a deal could fuel higher prices and reduce future innovation in the sector. 5-Year TIPS Announcement at 11 a.m.